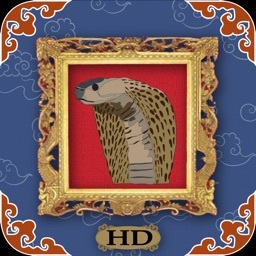 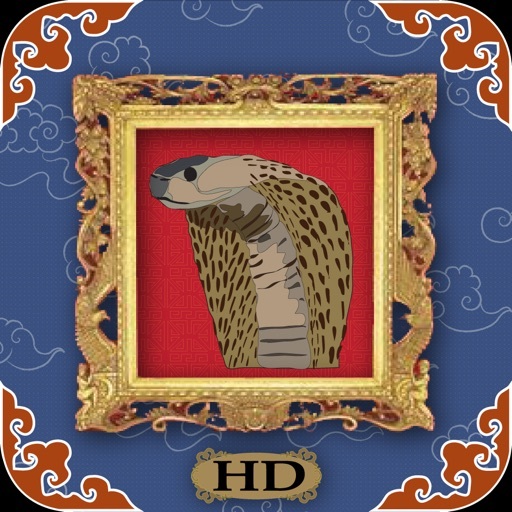 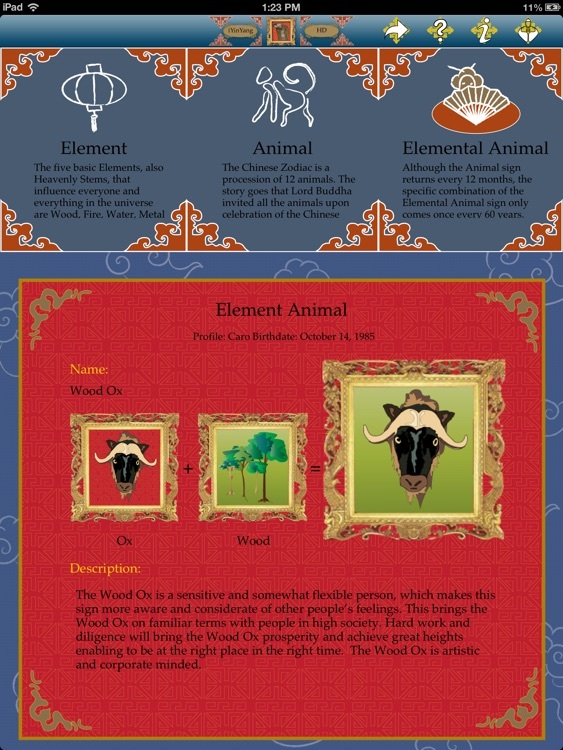 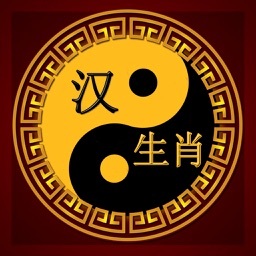 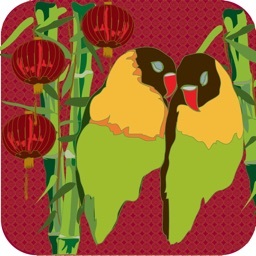 iYinYang HD offers a Chinese Zodiac birth chart reading of the Animal, Element and Elemental Animal sign on your iPad. 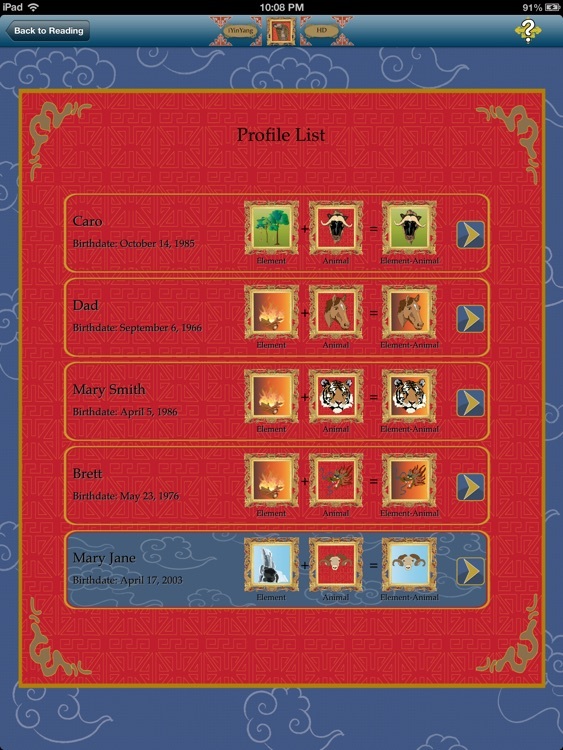 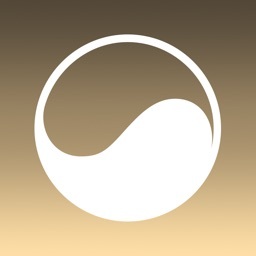 Furthermore, it allows to set and save 5 profiles of your partner, friends and family! 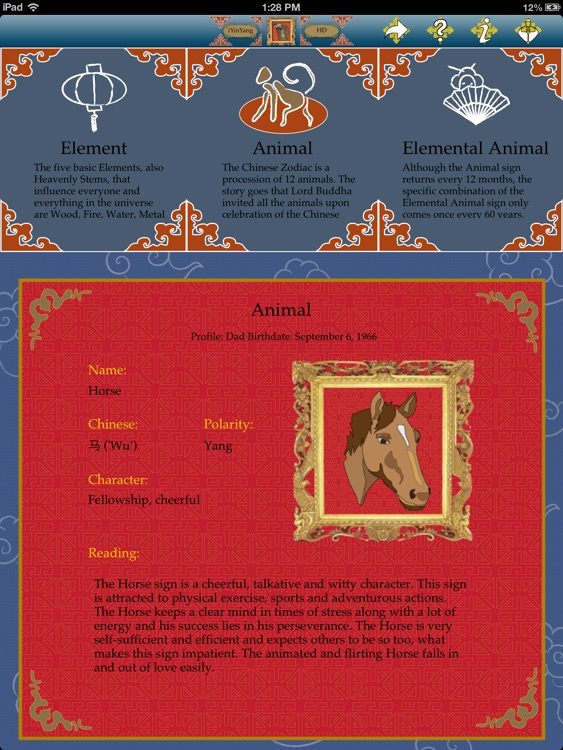 Share with them their Chinese element and animal sign on their birthday or anytime via email. 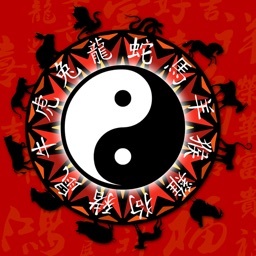 To know which Animal and Element sign one is born with, helps to understand oneself and others as well as it guides in career and partner choices and helps to prepare for beneficial or malefic years. 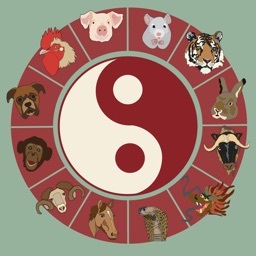 The Chinese Zodiac is a procession of 12 animals, each connected to a year. 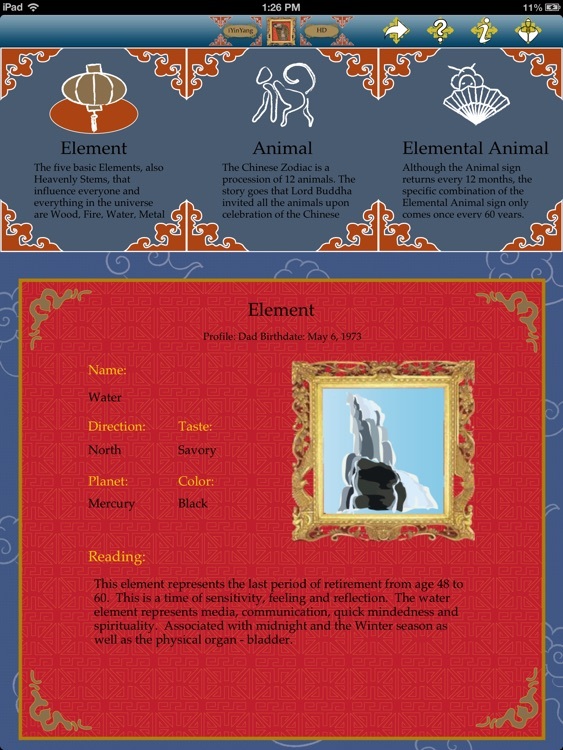 The Zodiac Animals, together with the Elements (Water, Fire, Wood, Metal, Earth) influence those born in their year with the characteristics and symbolic nature assigned to them. 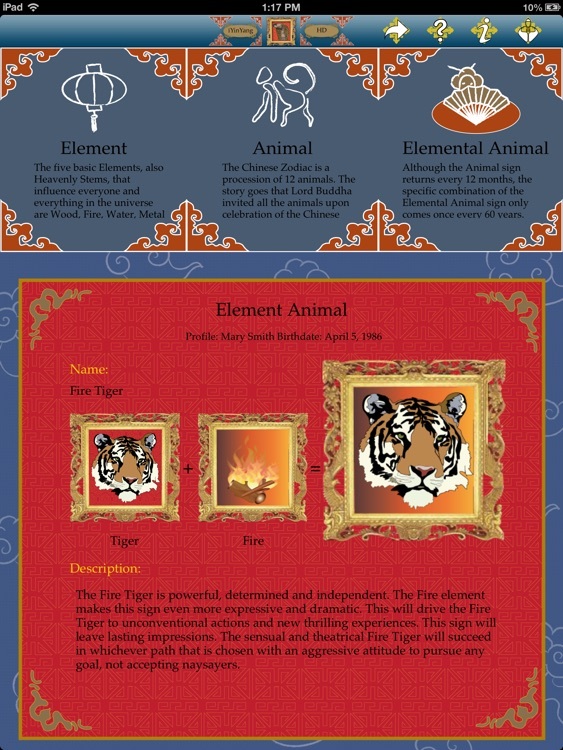 Each specific combination of element and animal occurs every 60 years.